CHICAGO (August 16, 2017) – Today, the Hyatt Regency brand celebrates its 50th anniversary with the launch of a new film titled, “Come Together.” The film celebrates bringing groups together to build community and share unique ideas, which is exactly what the Hyatt Regency brand has done over the past 50 years. 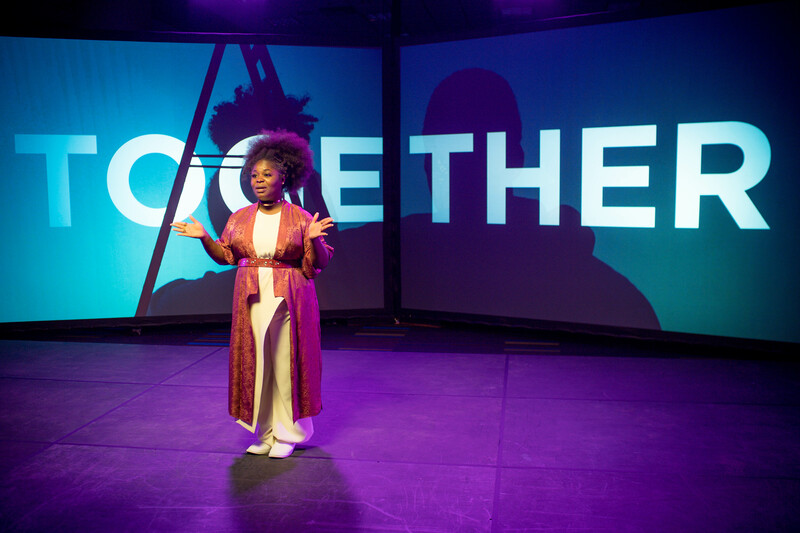 The “Come Together” film is an extension of the recently launched World of Hyatt platform, which is built on a simple belief that a little understanding goes a long way and further underscores the incredible things that happen when groups come together. Featuring spoken word artist Tarriona “Tank” Ball and directed by award-winning director Simon Benjamin, the “Come Together” film is inspired by the Hyatt Regency brand’s rich history – in 1967, Hyatt Regency Atlanta was among the first hotels in the city to open its doors to civil rights leaders. Through her poetic spoken word style, Ball tells the Hyatt Regency brand’s story of understanding with grace and care, while encouraging people to come together to share their ideas and perspectives. The “Come Together” film debuted today through a digital collaboration with The Atlantic. In addition to hosting the film, The Atlantic will also feature exclusive interviews with Ball and Xernona Clayton, a civil rights leader who was in attendance at the 11th annual session of the Southern Christian Leadership Conference at Hyatt Regency Atlanta 50 years ago. The film can be viewed at hyatt.com/understanding and will be amplified through Facebook and Instagram. The Hyatt Regency brand prides itself on connecting travelers to who and what matters most to them. More than 175 conveniently located Hyatt Regency urban and resort locations serve as the go-to gathering space for every occasion – from efficient business meetings to memorable family vacations. The brand offers a one-stop experience that puts everything guests need right at their fingertips. Hyatt Regency hotels and resorts offer a full range of services and amenities, including the space to work, engage or relax; notable culinary experiences; technology-enabled ways to collaborate; and expert event planners who can take care of every detail. For more information, please visit hyattregency.com. Follow @HyattRegency on Facebook, Twitter and Instagram, and tag photos with #AtHyattRegency.